full of taste and sweetness, it was a real treat. he had eaten it, loved it and now thought to eat jam all day was his right! jam was only fair and good if eaten at the times one should. he took the jam and ate until his tummy grew sore. out of R V there was not a single peep. finally they could have a say. 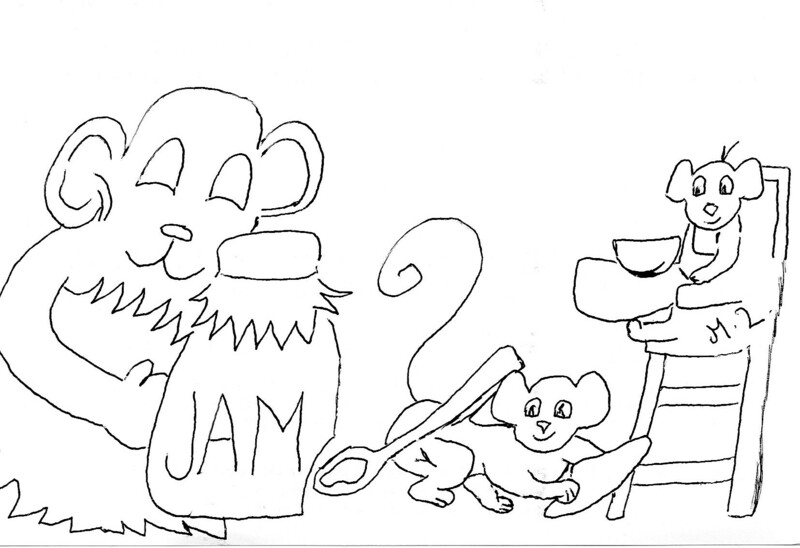 the Mummy mouse took a bit of jam on a spoon for her baby’s brunch. but when R V woke he was not so reasonable or mild. when given advice on eating jam, he should listen, be good and not with his Mum row.